4 Bedrooms, 3 Bathrooms, Occupancy 12, Ski In and Ski Out Access Soak in some of the loveliest views in Powder Ridge. This cabin is on the back side of a cul du sac with lots of open space and gorgeous views of the Spanish Peaks. Welcome to your Big Sky vacation retreat! 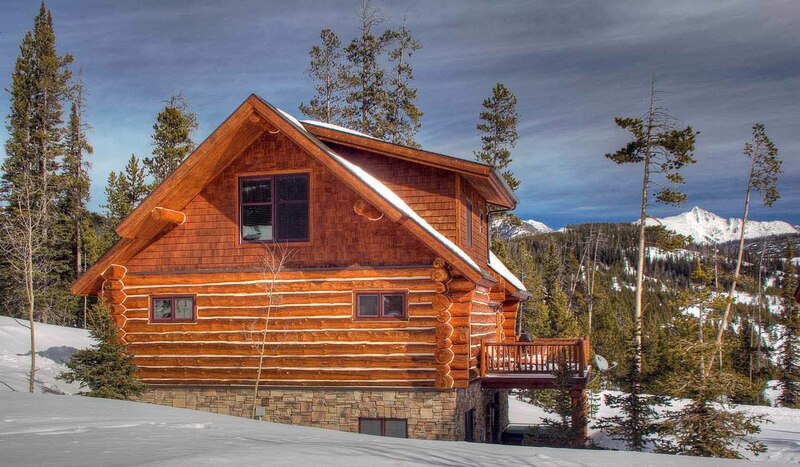 Just steps to the lift access, this beautiful log cabin will provide the perfect get away. These cabins are PERFECT for 1-2 families and even include lower level bonus space/TV room that is a RARE find in Big Sky! Lots of outdoor space for the kids to play or build snow forts in the winter!